How do we balance project needs with policy requirements? How does that affect data collection, structure, and cleaning? Can we still incentivize both at an organizational level? Ultimately: are we able to generate results data that is usable and are we allowed to use it? It’s the good, bad, and the ugly of results data. Despite a wealth of fantastic guides to developing project M&E programs, advice on involving local communities, and even just making sure that your data management implementation isn’t just sorting empty indicators but are in fact implemented. The top takeaway from our conversation reflect a cautious approach. “Don’t buy screenshots.” That’s one key way to make sure you’re avoiding those initial pitfalls and all those ways to ensure your data management implementation doesn’t turn into a dumpster fire. But be cautious not to let that get out of hand. Certain teams should offer ideas and leadership rather than inviting everyone to contribute feature requests. Otherwise this is what you could end up with… well, something unexpected. Convene with a purpose. How many times do we need to convene practitioners to agree data silos exist and more communication is required? Let’s be more decision-driven than data-driven. 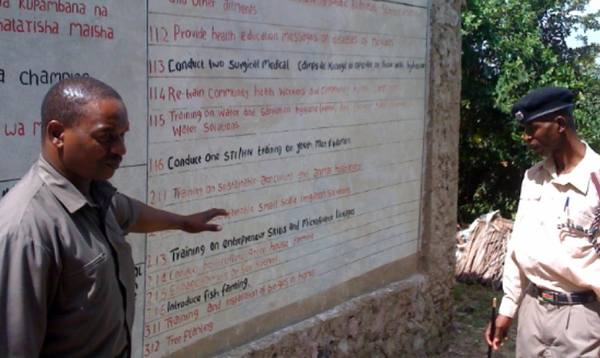 Development Gateway’s problem-driven, iterative, and adaptive approach (PDIA) offers useful insights into helping engagements be more inclusive, such as their recent work in Tanzania. And are our data collection practices a form of human experimentation? Yes, that sounds pretty extreme but there is a body a law that says it may be a form of this and that requires a lot of caution we need to all more carefully consider. io is helping think through this and so much more on civic trusts.